Dr. Eduardo Rodriguez grew up in Holguin, Cuba. He graduated from the University of Houston in 2003 with a Bachelor of Science degree in Biology. He went on to complete his Doctorate of Dental Surgery in 2007 from the University of Texas, Dental Branch in Houston. 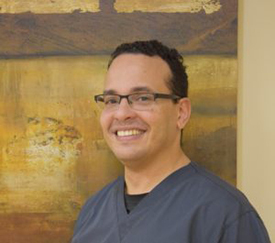 Dr. Rodriguez continually advances his practice of dentistry through continued education. He has received extensive training in implant dentistry, cosmetic dentistry, orthodontics, conscious sedation, surgery and endodontics. Dr. Rodriguez has a Master of American of General Dentistry, a Master of International Congress of Oral Implantologists, and an Associate Fellow of the Academy of Gp Orthodontics. He is a Member of the American Dental Association, American General Dentistry, International Congress of Oral Implantologists as well as a lifetime member of the American Orthodontic Society. In his free time Dr.Rodriguez likes to spend time with his family, watch movies, travel, and practice Brazilian Jiu Jit Su. Dr. Johnny Nguyen attended the University of Texas at Austin for his undergraduate degree and then continued to receive his DDS degree from the University of Texas Dental Branch in Houston. After graduation he has attended multiple continuing education courses to advance his knowledge of dentistry in order to provide up to date technology and high quality care for his patients. He is a member of the American Dental Association and an Associate Fellow of the Academy of GP Orthodontics. Dr. Nguyen is married and has 3 children. 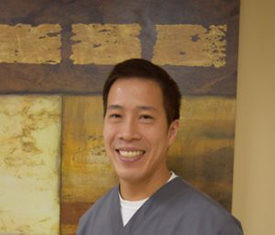 When not practicing dentistry, Dr Nguyen enjoys spending time with family and friends, jogging, and cycling. Dr. Cristina is one of our fun and caring general dentists. Her positive attitude and great chair-side manner will make your dental visit comfortable and pleasant. Dr. Cristina attended University of Houston to pursue her Biology-Biochemistry Bachelor. In 2004, Dr. Cristina graduated with honors from UT-Dental school in San Antonio – one of the best dental programs in the country. In May 2004, Dr. Cristina moved back to Houston and since then she has been practicing in her private dental practice. She attends numerous continuing education seminars each year and is familiar with the latest advancements in the dental field. She is a member of the Hispanic Dental Association. She performs a wide range of advanced cosmetic procedures, but mainly focuses on quality preventive care. Dr. Cristina firmly believes that most chronic dental conditions can be prevented by simple routine visits. Dr. Cristina loves her pediatric patients. Treating the young fellows gives her the chance to be a “grown up kid”. 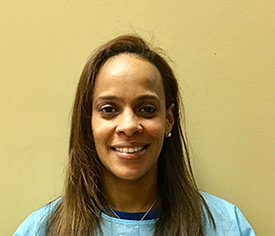 During her free- time, Dr. Cristina enjoys going to the gym or memorial park and having a nice dinner with friends and family.